Microsoft has won an injunction against certain Motorola Android devices after a regional court in Munich ruled that the phone maker is infringing on a software keyboard patent. 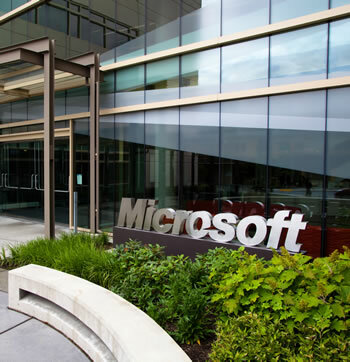 Microsoft won two separate cases: one against Motorola Mobility Inc. and another against its German subsidiary and distribution organization, though both cases involve the German market. To have the injunction enforced, Microsoft must post a bond of €75 million ($97.19 million or €37.5 million for each case) along with €20 million ($25.91m) if it wants a product recall to be enforced. The patent in question, EU Patent No. EP1040406, is described as "a method and system for receiving user input data into a computer system having a graphical windowing environment." Motorola must remove the infringing technology from its Android devices or strike a licensing deal with Microsoft to continue using it. Microsoft has been very successful in signing licensing agreements with handset manufacturers using Android. While Microsoft has been reluctant to reveal the patents used, industry analysts estimate that the company earns around $3 to $6 per unit on over 70% of the Android devices sold in the US. According to Foss Patents, Motorola is the only company selling Android phones that doesn't have a license. The Google-owned outfit will almost certainly appeal and a request a stay of the injunction. However, Foss Patents notes that those decisions are an exception and not the rule in German courts.